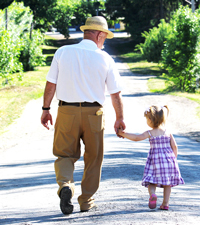 The Elder Care Attorneys at The Elder Law Firm PC proudly fulfill our mission everyday: To help our clients achieve their estate planning and asset protection goals in times of prosperity, to provide security in times of uncertainty and to offer peace of mind solutions in times of crisis. To demonstrate how our mission works in practice, our estate planning attorneys would like to share with you an example taken from one of our hundreds of client files. This particular long-term care client experienced all of the stages of the care continuum. At the outset, the client was only interested in an estate plan. Our firm helped this client get his estate plan in order, which included a medical power of attorney, a financial power of attorney, and a pour-over will. Additionally, we established an asset protection trust for him for the purpose of protecting the majority of his funds from a potential Medicaid spend-down. Some years later, he needed help with his daily activities, and we filed a claim on his behalf with the Department of Veterans Affairs and got him approved for a Veterans benefit of $1,949.00 a month. Several months after his approval from the Veterans Administration, his health deteriorated and he required skilled nursing care. Because he was going to have more medical expenses than the Veteran’s benefit could assist with, we then helped him file for Medicaid. Within three months, Medicaid benefits started paying for almost all of his care. This client continues to receive Medicaid benefits — and we were able to preserve $120,000 of his $150,000 estate. Between organizing his information, preparing the necessary legal documents, gathering asset information, tracking medical expenses, filing the appropriate claims on an ongoing basis and monitoring his care, this case exemplifies all of the stages of the care continuum. 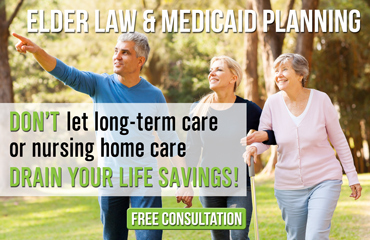 It also highlights the tremendous benefits that our fixed-fee life care planning clients receive as individuals who are under the continued care, guidance and protection of The Elder Law Firm PC. There are several hundred more cases that we have worked on wherein the client had the same progression from in-home care to assisted living care to nursing home care. In every one of those cases, expenses jumped from a few hundred dollars a month, to a few thousand dollars a month, to eventually more than $10,000.00 a month. Each step of the way, our professional Medicaid planning attorneys would re-analyze each client’s needs and pursue the assistance that was available. For those clients who adopted our asset protection recommendations, the majority of the value of their estates has been preserved, despite astronomical ongoing care expenses. At the The Elder Law Firm PC, we have 15 years of experience using our skills, dedication, and compassion to achieve our mission. If you have questions about estate or asset protection planning, have a loved one in an assisted living or nursing home facility, or have a loved one who is receiving in-home care, our help is only a phone call away.